Support for a new DM web client. This new Web Client is currently being tested and will be available soon. This upcoming version of the OM Plus Web Client has a completely new user interface. Users will notice immediate functional and usability improvements. Changes to support the upcoming release of the new OM Plus Stats Manager II (Print and Device). (SM) Stats Manager II is a statistics software product and it will be available soon. Moreover, Stats Manager II provides users a means to collect and analyze detailed user print data. As well as detailed device data including: print, copy, scan, fax, and toner cartridge usage data. Changes to support the latest version of My-Print-Delivery (MPD) Software. MPD is Plus Technologies’ pull-print solution. Supports changes for the new i-Sat Gateway. Also improving system performance and reducing time-to-print. Performance updates to the DM print software product. In addition, minor bug fixes were implemented. Furthermore, for specific information, please contact technical support or your Plus Technologies sales representative. Customers on support are welcome to upgrade to the new client for no charge. 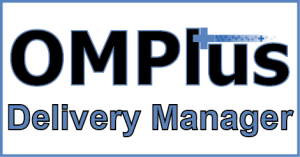 As shown above, Plus Technologies has a new Delivery Manager release. At this time, the latest version number is: 2.6.7. OM Plus Delivery Manager (DM) is advanced, intelligent print spooler management software. In general, OM Plus DM seamlessly ingests jobs from multiple systems and delivers them to printers, multifunction devices, fax software, email systems, and more. However, on rare occasions changes are needed to existing ERP/EMR systems. Generally speaking, OM Plus print spooler management software features include: print confirmation, re-printing, re-routing, automated failover, load balancing, bundling, re-sequencing, and much more. Finally, for precise version numbers and/or enhancements, please Contact Us.